Humans have five to six million odour detecting cells but that is nothing compared to the animal kingdom. Rabbits have 100 million and a dog 220 million. You can smell things better in the spring and summer, due to the additional moisture in the air. For the same reason, it is also stronger after exercise, which also increases the moisture in the nasal passage. Your sense of smell accounts for 75-95% of the impact a flavour has. Without being able to smell the difference between onion and potato, it’d be difficult to tell them apart. The sense of smell is the first of all our senses to develop. Even before we are born, our sense of smell is fully formed and functioning. Smell is the most sensitive of the senses. People can remember smells with 65% accuracy after a year, while visual recall is about 50% after three months. The sense of smell peaks when we are in our late teens and begins a gradual decline. The smell of a new leather jacket or pair of shoes makes everyone happy. But a new car smells best of all. An artificial “new car smell” is sprayed inside cars that lasts for six weeks. 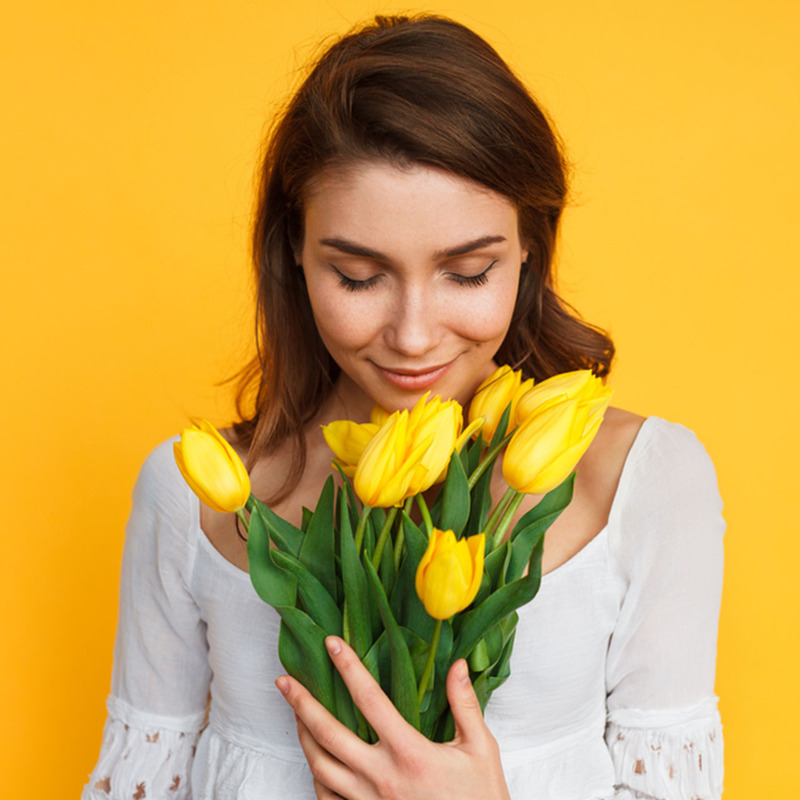 You can smell as fresh as a daisy every month and your scent cells are renewed every 28 days, so every four weeks you get a new “nose”. Dr Michael Gozin, of Tel Aviv University’s School of Chemistry, and his team are breaking down the components of human sweat as a new kind of ID, saying each person has his or her own chemical fingerprint. A woman’s sense of smell is much stronger than a man’s. It is heightened even more in the first half of the menstrual cycle and reaches its peak when she is most fertile. The sense of smell gets bored easily. When entering a bakery or florist you are very aware of the aroma but by the time you reach the check-out you will no longer be able to smell the different aromas around you. The way we smell plays a large part in who we are attracted to. In one study, a selection of women wore men’s T-shirts and were more attracted to the bodily scents of men who had a different type of gene section.